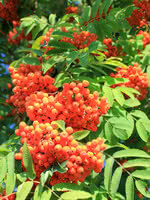 Western Mountain Ash is a popular ornamental tree native to the western part of North America. 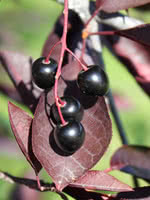 Its attractive, white clusters of flowers bloom in early summer, making way for red, yellow or orange fruit in the fall. If the fruit doesn't catch your eye, Western Mountain Ash's autumn colours will capture your–and the birds's–attention.